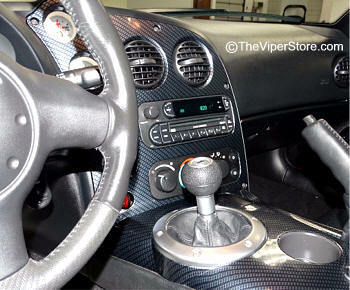 High Quality Dash plate made specifically for Viper SRT10. Made from ABS Molded Plastic. 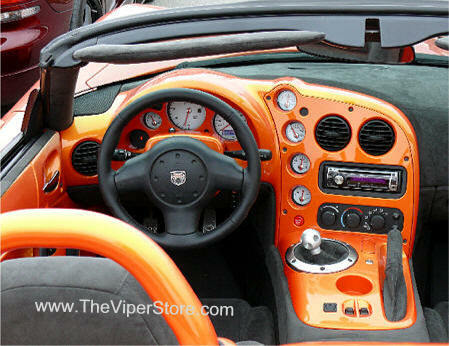 Gives the inside of your Viper cabin a race car look. 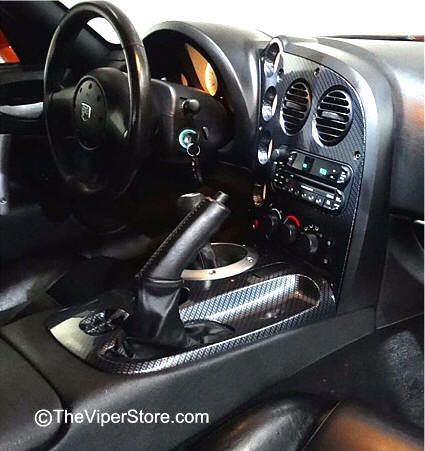 Two (2) piece kit consisting of center dash bezel and console bezel with a Carbon Fiber Hydrographic finish. 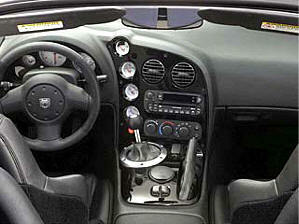 Highly durable easy to clean as well. 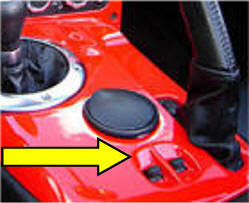 Easy mounting snaps on and uses existing factory bolts. No tape or glue. Made from ABS Molded Plastic. 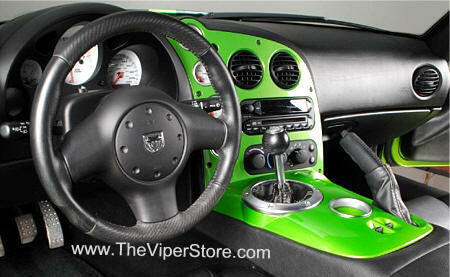 Gives the inside of your Viper cabin a race car look. 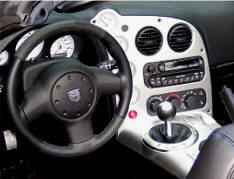 Two (2) piece kit consisting of center dash bezel and console bezel with a painted Silver finish. 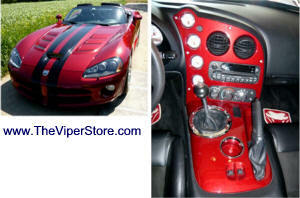 Highly durable plastic easy to clean as well. Easy mounting snaps on and uses existing factory bolts. 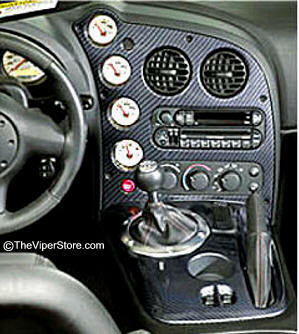 Two (2) piece kit consisting of center dash bezel and console bezel with a painted Gloss Black finish. 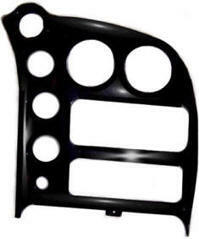 Factory part needed to go with your replacement Dash Appliqué Molded. This goes underneath the door window switches to raise them up if needed. 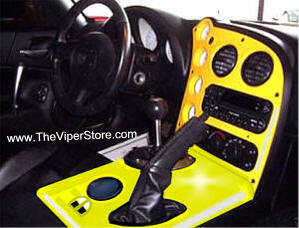 Two (2) piece kit consisting of center dash bezel and console bezel with a professionally painted to any factory color you want with Gloss Clear Coat on top. 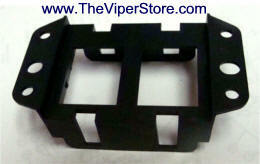 Highly durable plastic easy to clean as well. 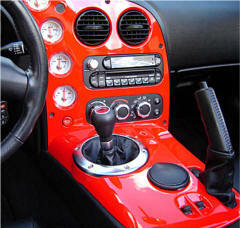 We can paint any part - any factory color - just ask! ABSOLUTELY Beautiful - MUST SEE! 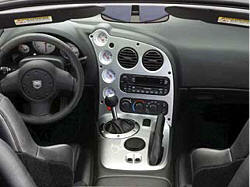 We can paint any part - ant factory color - just ask!